Mark Zuckerberg has captured the attention of the entire world, as he proved once again with today’s market-moving, stop-what-you’re-doing-and-pay-attention announcement about the launch of Facebook Graph Search. He is, of course, famous and infamous — the symbol for a social media phenomenon that has revolutionized the way we live but also a lightning rod for an ongoing debate about individual privacy in the social age. Does Mark Zuckerbrg have anything worthwhile to teach business leaders, or is his success a unique, unteachable combination of circumstance and individual talent? 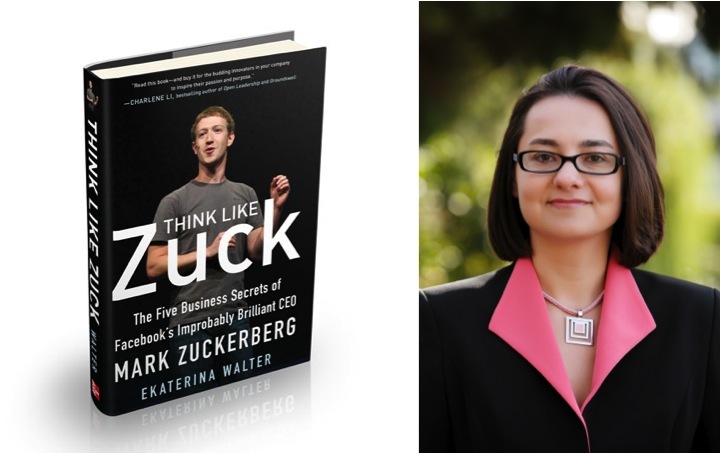 In the newly published Think Like Zuck: The Five Business Secrets of Facebook’s Improbably Brilliant CEO, Ekaterina Walter argues convincingly for the former. In a highly readable, warm discussion about Zuckerberg and Facebook, she asserts that Zuckerberg can teach us the value of passion, purpose, people, product, and partnerships. Hers is a highly instructive book that even Facebook critics — as I have been from time to time — should read. Walter demonstrates how the rise of Facebook reflected a deeply personal passion of Zuckerberg’s for connecting people in an open world — one that gave him a single-minded focus that led to the launch of the world’s largest social network. In my favorite chapter, on the value of partnerships, Walter shows how the symbiotic relationship between Mark Zuckerberg and Sheryl Sandberg has made him a better leader. But since this is a book intended to help business people become more effective, Walter imparts lessons from the Zuckerberg/Sandberg relationship, such as the importance of forming business partnerships that combine imagination and execution. What makes the book more valuable are the lessons that Walter shares from brands that demonstrate the ethos of Zuckerberg — companies ranging from TOMS to Zappos. Her examination of businesses that demonstrate passion, purpose, people, product, and partnerships elevates the book from a read for Facebook watchers to a useful guide for anyone in business. To better understand the ideas in Think Like Zuck, I conducted a Q&A with Walter. In the following interview, she discusses why she wrote Think Like Zuck and what she thinks you can learn from the world’s most famous 20-something billionaire. She also assesses the meaning of the January 15 announcement about the launch of Facebook Graph Search. Check out her book — and tell me what you think of it. Why a book about Mark Zuckerberg? What inspired you to write it? Witnessing the rise of the most expansive social network over the past eight years and working with Facebook for the past four as a brand marketer, I’ve had some amazing experiences and some frustrating experiences. I wanted to dig deeper and find out for myself what the secrets to its success were and who Mark Zuckerberg really was. And I have to say, it was an inspiring journey. What kinds of impressions did you have of Zuckerberg when you started writing the book? Did those impressions change as you wrote it, or did your research confirm your initial impressions of him? I was going into this with an open mind. 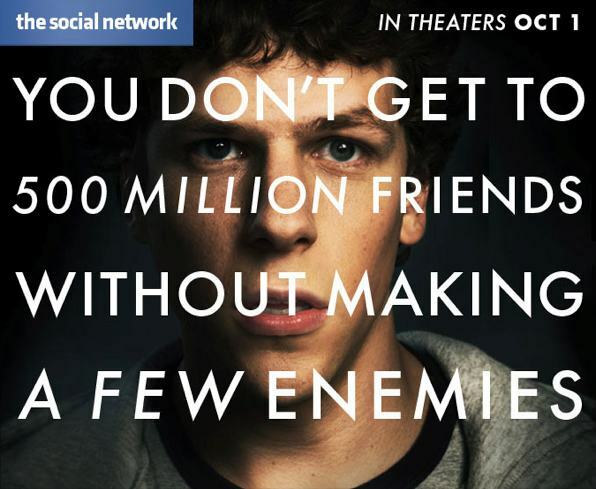 Unfortunately, media tends to sway towards the negative stories, and the movie The Social Network really didn’t help Zuckerberg’s image. What I found was quite fascinating. I grew to appreciate Zuck as a visionary and a leader with the purpose. In Think Like Zuck, you identify five principles that are essential to Facebook’s success: passion, purpose, people, product, and partnerships. 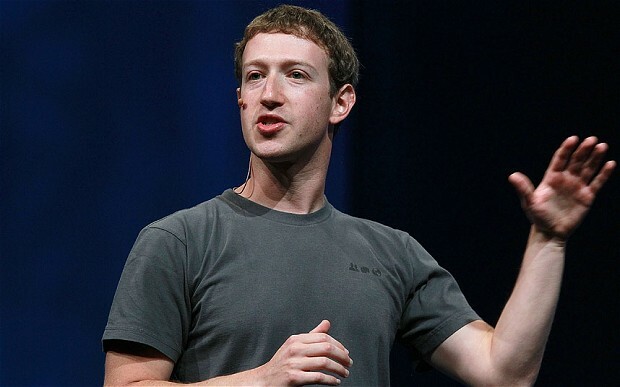 Which principle you believe Zuckerberg best embodies? What’s his bottom-line strongest attribute as CEO? Purpose. No doubt. He wants to connect people around the globe and make the world more open and transparent. That purpose fuels everything he does. Mark Zuckerberg may be young, he might have made some mistakes, but here is a young person who is extremely sure of his vision and the change he wants to see in the world, and he has an entire company behind him that not only shares in this vision but acts on it every single day. That alone is an invaluable ingredient in the long-term success of a business. His strongest attribute as CEO is his long-term vision. He doesn’t get distracted easily, and I can guarantee you that his little notebook has 3-5 year plans for where he wants to take his company all laid out. Just like other notable leaders such as Steve Jobs and Jeff Bezos, he isn’t easily susceptible to the external pressures of stakeholders and critics. He sees a clear path and he walks it. You paint a picture of a Mark Zuckerberg as a quiet, introverted person. Why do you think social networking is so important to him? Because of his purpose described in my answer to your previous question. And just because he dislikes the limelight, it doesn’t mean he dislikes the company of his friends. Moreover, I think we underestimate the power of introverts. Some of the most admired leaders were introverts; there is a lot we can learn from them. One of the main themes of your book is the value of taking risks and accepting failure, which feels like a trait we associate with the start-up culture. How can big businesses embrace that trait? Make innovation personal. Support it. 3M is one example. They allow their employees to spend a percentage of their time on the projects or ideas those employees are passionate about. Because, at the end of the day, both the individual and the business benefit from the passion and creativity of an employee. Don’t allow the culture of fear. Encourage freethinking and risk taking. Go one extra mile and draw positive attention to (or even reward) projects that weren’t as successful or that failed, but the ones that had huge potential, truly creative thinking, and showed passion and initiative of your employees. You are obviously impressed with Facebook’s hacker culture: releasing and learning from smaller iterations rather than try to get everything right at once — and moving fast and breaking things. As a publicly traded firm, Facebook has to please impatient shareholders with short-term expectations. How will Facebook preserve its hacker culture as a publicly traded firm? No matter what business you are in, agility matters. I don’t believe Facebook will move away from the “hacker” culture. As a matter of fact, if you read Mark’s IPO letter, you’ll see that Mark stresses the importance of hacker culture to the success of his business and wants to make it clear to any potential investors that they have to trust and believe in his approach if they want to invest in Facebook, not the other way around. Chapter 3 of Think Like Zuck focuses on the importance of a company hiring the right people. You mention that bad hiring has cost Zappos more than $100 million. Zappos is such a highly regarded firm. Did that statistic surprise you? No. In any company, small or large, you’ll have costs associated with bad hiring. It is hard to have a team of 100-percent cherry-picked people, especially when the business expands fast. You will get those people who might not share your passion for the business or believe in the purpose of your endeavor. Finding the right people is the hardest thing for any business to do. But once you do, there is no doubt they’ll help propel your success to new heights. It’s just not every business truly takes time to focus on this. As I read Chapter 3, I was impressed by how much Zappos focuses on keeping its employees happy. And while the Zappos model is admirable, isn’t there a risk that a company becomes self-absorbed and complacent by putting employee happiness ahead of customer satisfaction? How does a business effectively balance the needs of its work force against the needs of its customers? I don’t think there is such a thing as an employee who is “too happy, hence too complacent.” It is my belief that if you treat your employees like royalty, they will treat your customers even better. There is no way of separating our professional lives and personal lives anyway. What I mean by that is that if your child is sick, you won’t be able to give your best to the company. If you have something else on your mind, your motivation drops. So if the company can support your personal goals away from work or provide environment flexible enough to address your personal concerns, those employees will contribute their 110 percent and then some. Your employees are your Number One ambassadors. We wine and dine our customers who are our advocates, but sometimes we forget to take a look inside of our own companies and treat our employees who love our brand with the same respect we treat our customers. It is all interconnected in my mind. This statement in your book really resonated for me: “The secret to successful hiring is to find people who want to change the world.” How do you do that? You go out and you talk to people. You search, actively. You look for the unusual stories and passionate people. You find common goals in your purpose and their purpose. You bring them in and you give them freedom and power to create. To this day Facebook spends a lot of time and resources to find the right people out there. They engage their employees in the scouting process. They hold hackathons to identify the best talent. They acquire businesses just to bring the gifted people in. In assessing the initially bad reaction to the launch of News Feed, you wrote that what was natural to Zuckerberg (complete transparency) might not be comfortable for others, a point he missed with the News Feed launch. It strikes me that assuming the community will be comfortable with Facebook’s changes remains a big challenge for him and for Facebook. A fair statement? That’s why it’s called pushing the envelope. Zuckerberg’s vision if far out there. Just like with a lot of talented leaders his vision sometimes is ahead of the industry or market readiness. But he knows that the world is moving towards transparency, and he doesn’t want to let up. Little by little he is trying to show people what the world should look like. Sometimes he takes it a little too far. And sometimes he is too sure of himself not realizing that when you envision something you need to take the users along with you, not only talk to them but listen as well. Visionary people tend to be impatient when others are not following along fast enough; that is something they have to learn along the way. Let’s look at another high-profile change Facebook has undertaken, one announced personally by Mark Zuckerberg; what’s your take on the January 15 news about the launch of Facebook Graph Search? Facebook’s latest move to Graph Search is very consistent with Zuckerberg’s vision of a more connected and open world. The search, he says, will not only facilitate discoverability, but new connections as well. The intent isn’t to do Web search within Facebook. Rather, the purpose is to help people find specific answers to specific questions within their own social graph that is unique to them. Facebook Graph Search is a huge undertaking and will take awhile to fully launch, but this is definitely something the majority of the users were looking for. Now, Facebook will need to ensure strong privacy controls (Facebook already started educating users in this video). There is also work to be done on mobile. But I think it’s the move in the right direction. You write that “To continue to be an effective partner, Facebook needs to find a balance between its rapidly paced ‘hacker way’ of innovation and the needs and desires of those who not only use its product (users) but also those who sustain Facebook’s revenue and growth (marketers and partners).” How will Facebook find that balance? By listening to their strategic partners more. By opening up their kimono and letting partners in on their roadmap (even if it’s just the parts of the roadmap for the products affecting their partners in a big way). You can’t expect those who pay your way to invest a ton of money into their presence redesign and one day wake up to a totally news look and to be happy with it. 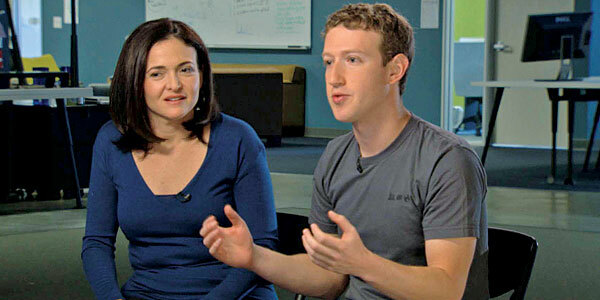 Why do you think the Visionary/Builder relationship between Mark Zuckerberg and Sheryl Sandberg succeeds? Who are some other great visionary/builder partners in business today? It succeeds because Mark realizes his shortcomings in operational management and trusts Sheryl to bring her expertise to the table as a partner in that area. And Sheryl believes in Mark’s mission and doesn’t mind supporting his vision as his Number Two. As partners, they found a way to understand each other and complement each other in the most effective way possible. That is a nirvana of partnership. This entry was posted in Facebook and tagged Ekaterina Walter, Facebook, Intel, Mark Zuckerberg, Sheryl Sandberg, Think Like Zuck, Zapps. Bookmark the permalink.